Whether you have visited Alaska in person or just via the television it is of no surprise that the elements are harsh! The frigid temperatures and high levels of snowfall wreak havoc on wood structures all over the state, including Kodiak Island. Kodiak Island is located in southern Alaska in the Gulf of Alaska. It is only about 3500 square-miles but it is some of the roughest land in the state. Comprised of mostly moist tundra which makes habitation difficult and challenges the life of any wooden structure. That is but one of the reasons that people are finding that there is quite an abundance of reclaimed wood to be salvaged on the island. Originally settled by Russian fur traders in the 1970’s shelters and cabins were erected all over Kodiak Island for protection from the elements. A majority of this construction has remained standing but is uninhabitable today. Holding hundreds of years of history, this reclaimed wood is truly one of a kind. This reclaimed wood is extremely dense with years of being exposed to some of the harshest climatic conditions. 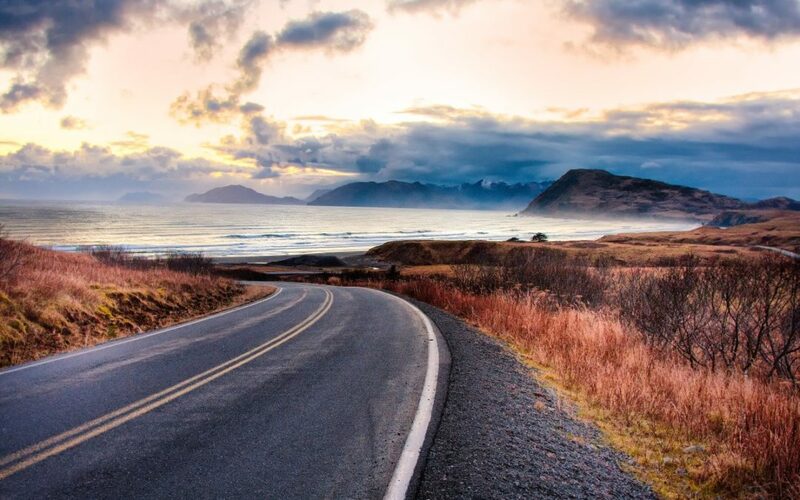 The elements are not the only conditions that impacted the reclaimed wood from Kodiak Island. In the early 1900’s the island was covered in 18 inches of volcanic ash from the eruption of the Novarupta Volcano near Mount Katmai. This ash began deeply embedded to the ground, trees, existing buildings, and all reclaimed wood on Kodiak Island. Although all reclaimed wood is salvaged from historical places and enhanced with environmental characteristics, not all of it hoards volcanic ash adding unique color, scent, and composition. There are many structures on Kodiak Island that are registered in the National Register of Historic Places making any wood salvaged authentic and truly special. In the future some of the most sought after reclaimed wood from the island will come from the many Russian Orthodox churches that are still standing. These churches were erected by the early fur traders and are therefore centuries old. There are already a handful of furniture companies producing reclaimed wood from the island. With worldwide shipping they are making Alaskan reclaimed wood available to anyone with the touch of a button. Kodiak Island is not only one of the secluded settled areas of the Russian fur traders, it is the top spot to view bear in the state. Any piece of reclaimed wood from Kodiak Island will be something to treasure. Even if you are unable to visit in person you can have a piece of the Alaskan Frontier right in your own home with reclaimed wood. Reclaimed wood from Kodiak Island, Alaska will be sure to be one of the most commented on items in your home! If you’re interested in adding reclaimed wood to your home, get in touch with us! We would be happy to help answer any questions you might have.